While I was a student, a fairly muted celebration marked the 10-year anniversary of the second arrival of women at Wesleyan. Although I knew that the university, like many small New England colleges, had once been a male-only institution, I had arrived to a fully co-ed campus and was surprised to see the “10 Years and We’re Not Going Back This Time!” T-shirts. I had no idea (remember, this was before the Internet) that the admission of women had begun so recently. I have met a number of women from the classes in the early 1970s and now know that they faced a very different environment when they first arrived. 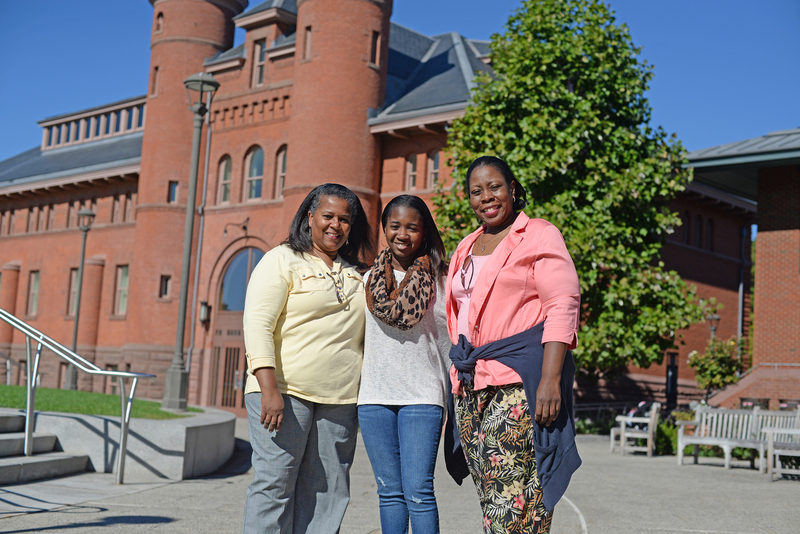 This fall, Wesleyan launched a much less muted celebration of Women of Wesleyan. 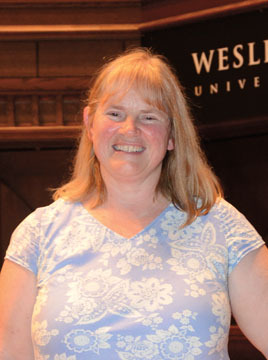 In October, Sheila Tobias, Wesleyan’s first female provost and author of books such as Overcoming Math Anxiety and Breaking the Science Barrier, helped lead “Campus Transformation through Co-Education,” a daylong event that included a panel discussion with female change agents from the 1970s. Also in October, “Women in STEM Day” offered female students considering careers in science, technology, engineering, and math the opportunity to network and participate in seminars with alumni and faculty. This series reminded us of the growing pains of transformation and the tremendous benefit of the result, not only for the women but also for the broader campus community. During Homecoming/Family Weekend, a WESeminar, “Women at Wesleyan and the Legal Profession: Have Things Changed?—A Generational Perspective,” highlighted a topic I found especially interesting: as an attorney in upper management I am often asked to reflect on the challenges that female attorneys face. In some ways, my professional journey has been similar to my academic one—I did not have to experience much of the struggle of the trailblazers. However, I continue to be challenged by just how hard it is to fully integrate women—especially women raising children—into the fabric of law firm life and find myself reminding male colleagues that certain seemingly neutral decisions (e.g., the emphasis on the billable hour) could effectively preclude many women from the upper ranks. Most interesting to me was the 21st Annual Dwight Greene Symposium on “Women of Color at Wesleyan,” which featured women from various classes over four decades. Trustee Joyce Hall ’78 was a member of one of the earliest classes that included both women and African-American students. The emotion that still resonates in her voice serves as a reminder of the road our Wesleyan pioneers had to travel. Looking ahead through the semester, Women of Wesleyan events will continue, including an on-campus event on April 12, focusing on intergenerational conversations between Wes Women. It will connect alumni with current students to discuss how experiences as a woman at Wesleyan informed career choices and successes, highlighting specific industry panels and the importance of networking and mentoring. 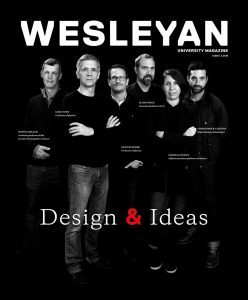 Wesleyan, long ago dubbed “Diversity University,” knows as well as any place how difficult it really is to have a campus both diverse and inclusive. Throughout the year, discussions on campus involved students, faculty, administration, and the Board of Trustees on what it takes not only to attract a diverse student body but also to foster a campus environment that both embraces and supports all students while recognizing and celebrating their differences. As you might expect, this is not a challenge that is solved with a few meetings. It is hard work. But as the Women of Wesleyan have so ably reminded us this year, it is work well worth the effort.